Modern technology has made fire hydrants more water efficient and leak proof. More important, systems can now be designed to meet your exact needs. Proper design, installation, and maintenance are crucial to system performance. Pay attention to this critical part of your firefighting system. The choice of a wet or a dry barrel fire hydrant depends on your industry and your particular facility. Unlike public fire hydrants, which are serviced by the local government, private fire hydrants are maintained by owners. They are designed to meet the needs of the specific structure and property. The size and number of fire hydrant outlets must comply with local zoning requirements and fire department codes. The specific needs of your industry may further complicate this, confusing and often overwhelming list of considerations. Albilad Fire Fighting Systems Company Limited has been protecting life and property from fire in and around Saudi Arabia for more than 35 years. Our advanced fire and gas protection systems offer instant response to minimize loss of life and property. You do not have to worry about what type of fire hydrant is proper for your facility or how many outlets you need. We take care of all that and assure that everything conforms to local fire codes. We will design a cutting-edge fire suppression system that fulfills all your requirements. Fire hydrants come in two types: Wet Barrel and Dry Barrel. Fire Water Monitor: The fire monitor consists of two major parts—the hydrant and the monitor. The fire monitor is built as per Saudi ARAMCO standards/specifications. Tell us your specific requirements. With the advanced capabilities of our modern local manufacturing facilities we offer a wide range of fire protection systems that meet regional codes and industry needs. 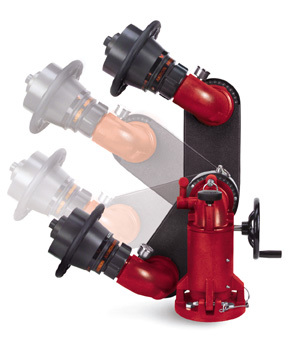 You will be pleased with our quick turnaround on all requests for firefighting systems. Place an order with Albilad for the latest fire hydrants for your residential or commercial property in Saudi Arabia/Middle East. Albilad Fire Fighting Systems Limited is the oldest fire protection company in the Middle East. You can count on us to equip your property with the most advanced fire suppression systems. Our extensive and varied experience with firefighting systems makes us the first choice for property owners looking for complete protection. Design: We combine extensive industry experience with the latest technology to deliver next-generation firefighting systems that meet the specific requirements of your business. Whatever type of facility you operate, our engineers can design and prepare the firefighting system most appropriate for your facility. 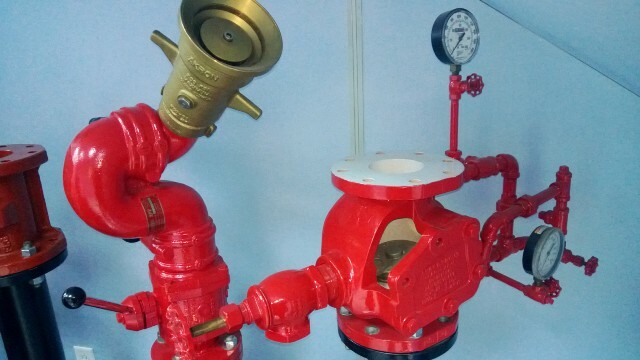 Installation: Proper installation is crucial to the performance or any fire hydrant installation; a poor setup can result in a malfunctioning device that can make the difference between life and death. Our experienced staff is committed to perfection and will assure that every detail of installation is done right. Testing: Opening a fire hydrant can create serious danger. The high-pressure water in a fire hydrant can cause injury, property damage, or severe flooding. Albilad tests all our fire protection systems to make sure that a difficult situation does not become worse than it needs to be. 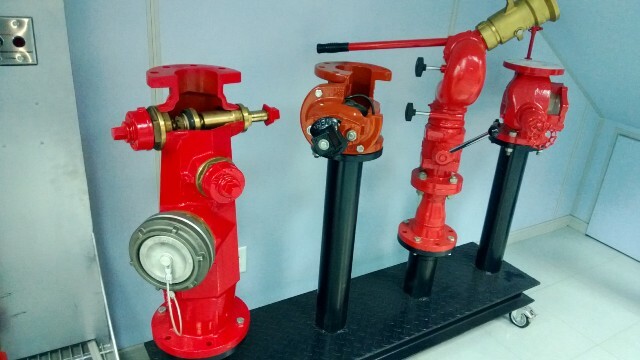 Maintenance: We will maintain and repair your fire hydrants and your complete fire suppression system to assure that they remain in optimal working condition. Albilad Fire Fighting Systems Company Limited offers cutting-edge solutions to protect your business investment and your reputation. Place a Service Contract/Agreement with Albilad for design, manufacture/assembly and maintenance of fire hydrants. 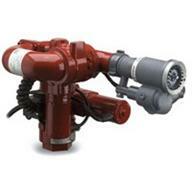 Or contact us for more information about fire fighting systems tailored to your specific application.